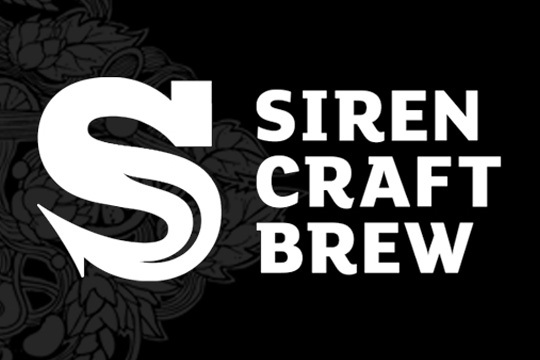 Siren Craft Brew are the sponsors of Room 3 at Victoria Baths for IMBC this year. They’re also one of the most innovative UK breweries putting out some of the best beers consistently. We caught up with Andy Nowlan to chat all things Siren and to find out what they’ve been cooking up recently and a little of what to expect at IMBC 17…WARNING: This post will make you thirsty. What’s going on at the minute? What are you excited about that people can seek out right now? It’s an amazing time for specials and collaborations right now, with loads of our brewing friends and heroes coming over to the UK for festival season. The one to look out for right now is ‘I Love You Honey Bunny’ – it’s a collaboration with Other Half that has fit in to our (unofficially dubbed) ‘Fruit Pulp Fiction’ series – except this time, in place of fruit, we’ve gone with 200kg of pure blossom honey. We’re describing it as a honey smoothie IPA. We’ve also just brought two old favourites back – ‘Ten Finger Discount’ and ‘Middle Finger Discount’. Vintage single hop IPAs that won’t hang around for long! Tell us a little about your recent Project Barista. Those beers sound ideal for a first beer for the morning crowd at IMBC. Oh, and the good news is we’ve held a keg of each Project Barista beer back for IMBC, so they certainly could be some good early-doors choices! You’re bringing the Rainbow Project bar to IMBC 17 – thank you kindly, we can’t wait – a lot of our followers will be familiar with the Rainbow Project but in case not, could you shed a little light on what the Rainbow Project is? The Rainbow Project began in 2013 and was initially the brainchild of Ryan Witter-Merithew (then Head Brewer at Siren). The basic premise is that two breweries will be randomly paired up, then randomly assigned a colour of the rainbow to inspire a beer. It’s always been celebration of collaborative and innovative brewing, and has become a key fixture in the annual beer calendar. Each year the project has grown, starting out as a UK based thing, before heading to Europe for collaborations in 2014 (Evil Twin Naparbier, Omnipollo, Lervig, Mikeller, Toccalmatto and De Molen), the USA in 2015 (Cigar City, Arizona Wilderness, Prairie, Crooked Stave, Surly, Dogfish Head and Firestone Walker), then New Zealand last year (Parrotdog, Liberty, Fork Brewing, Yeastie Boys, 8 Wired, Garage Project and Panhead). This year we’re back in the US, with an all-star lineup that has paired up some amazing breweries. The Rainbow Project is a chance for breweries to get really creative and has produced some absolute gems over the years, such as Buxton/Omnipollo’s Yellow Belly. It throws up some amazing pairings of breweries. For the first time this year, we’re launching the rainbow project at some of the best beer festivals in the UK, rather than keeping it confined to brewery parties. There will also be 2,000 mixed cases of the collaborations this year, more than ever before. We can’t wait to bring it along to Indyman! Last year at IMBC 16 you brought out the big guns. One of only two casks at the festival in the shape of V.I.P.A (Siren x IMBC collab), Maiden 2015, BA Caribbean Chocolate Cake, Eisbock Caribbean Chocolate Cake (!!! ), Smoken Dream. Can you tease us with any rarities lined up for IMBC 17? For those that tried V.I.P.A. (IMBC 2016 collaboration Vimto-inspired Belgian IPA), you’ll be interested to know that we’re bringing along Cheeky V.I.P.A. this year! Yep, it’s been aged in Port barrels. We’re raiding the barrel store so expect some beers on tap that we haven’t poured before, along with some you probably thought were gone forever (Barrel Aged Shattered Dream!!). We’ll also have some single barrel Maidens, to give a bit of the experience that we get when forming Maiden blends. Along with a load of new collaborations, old favourites and one-offs. We’ve got a hell of a lineup planned! Siren are the sponsors of Room 3 at IMBC 17. It’s the opposite end of Victoria Baths from where you were last year in the Pineapple Room. Room 3 is where the bands and DJs perform at IMBC AKA the party room, what will Siren be bringing to the party? We had a great time in the Pineapple Room last year, but wanted to get right back in the mix! We’re working on a beer list that we hope will have something for everyone, all weekend long. We’re looking forward to creating some atmospheric vibes worthy of our mysterious Sirens, and then half of our team will be travelling up from Berkshire to join in the fun too! You’re seasoned IMBC professionals at this point, have you got any tips for the ultimate IMBC experience? IMBC is amazing in its versatility, it’s really what you make of it. From a personal point of view, my advice would be to take your time and enjoy everything on offer rather than rushing around to catch specific beers. There’s so much amazing choice. Maybe try to fit in two different sessions to make the most of it. Also – if you’re not from Manchester then enjoy the city! Whether it be the IMBC fringe (I’ll be heading straight to Magic Rock @ Common), the pubs (Marble Arch, Smithfield, Port Street…) or the food (I can’t visit Manchester and not eat at Bundobust). What’s on the horizon for Siren? We’re finally about to open a tap room, having removed our old space a couple of years ago. With that will come brewery tours and more events. It’s something we’ve been desperate to do for a long time so it will be great to get more people out to our home in the sticks! We took on some new space at the start of the year that will allow us to keep more barrels, but more importantly, access them a lot more easily for regular tastings, QC and (hopefully) releases. So that’s exciting. We also put in a new brewhouse early this year which has been great, but presented it’s own teething problems. It will be great to hit the ground running next year with new kit, loads of experience and a full team to make the most of it. There’s plenty more to come from us! IMBC 17 tickets are still available for Thursday 28th September and Sunday 1st October sessions. Pick up your tickets HERE. Full brewery list HERE.